Xamarin: Mobile Leaders Podcast | Enterprise Mobility Trends with Maribel Lopez: Where Are Things Headed? The post Mobile Leaders Podcast | Enterprise Mobility Trends with Maribel Lopez: Where Are Things Headed? appeared first on Xamarin Blog. The post Easier App Debugging with Xamarin Studio Run Configurations appeared first on Xamarin Blog. The post Xamarin and Visual Studio at Future Decoded appeared first on Xamarin Blog. were instantly hooked to the MIT AppInventor 2 platform. app for the device. Kids have even interacted via chat directly with the site owners, which was a blast! this seemed like the perfect opportunity to give it a shot. actual function (or functions). So if you name it like your function, i.e. return string.IsNullOrEmpty(json) || string.IsNullOrEmpty(query) ? Use a POST Text call passing in the JSON to parse. 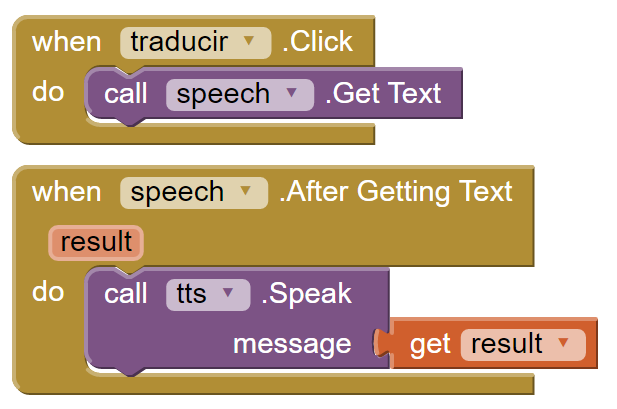 from blocks, as shown in the above translation example. receiving an XPath expression as the ?q= query string parameter. The post Xamarin Developer Events in October appeared first on Xamarin Blog. This is a talk I did on a local Meetup group about continuous integration and continuous delivery for you Xamarin app. Mainly based on VSTS and HockeyApp but also naming some alternatives like Bitrise, TestFairy, Play Store and the App Store. Because of time pressure it was a bit of a rush so if you have any questions please let me know!